Across Scotland people are being urged to help fight climate change starting at home- in their kitchens. This has come from Gary Maclean, Scotland’s National Chef, who supports a national campaign from the Scottish Government encouraging people to address climate change. The new campaign raises awareness of how making simple lifestyle changes can have a big impact on our environment. For example, evidence shows that over than half of Scots (55 per cent) see climate change as an ‘immediate and urgent problem’, according to the recent Scottish Household Survey, from the Scottish Government. The survey also showed that more than half (56 per cent) of Scottish households now dispose of their food waste in local authority provided food caddies. This is more than double the figure from the previous five years. Although they seem like small actions, if we all avoid and recycle food waste, wash clothes at 30 degrees, leave the car for shorter journeys and turn down thermostat dials by one-degree, together we’ll make a huge difference in combating climate change. Zero Waste Scotland estimate that Scottish households throw out 600,000 tonnes of food every year. Over half of this food waste is avoidable. 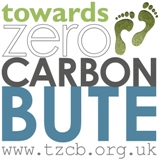 Mr Maclean said: “Tackling climate change isn’t about a huge lifestyle overhaul. Small, simple and easy changes make all the difference. They also save you money and help the environment.“Often, it’s about going back to basics – buy loose fruit and veg instead of packaged, plan your meals ahead for the week or freeze leftovers to cut down on food waste. Plan your meals – it only takes 10 minutes to think through what you’ll need for the week and write a shopping list. Planning ahead means you’ll only buy what you need – it’s greener and you’ll save money. Work with leftovers – when planning your week’s meals, work in leftovers too – they can make tasty and quick lunches and snacks. Know your labels – check the ‘use by’ or ‘best before’ dates on the food you plan to buy. ‘Use by’ is the date which relates to food safety whereas ‘Best before’ is an indication of quality. Have a look and get to know the difference. Buy loose fruit and vegetables – buying loose rather than pre-packaged helps cut down on packaging waste and is often cheaper. There’s no point buying four peppers when you only need two. Freeze your bread and toast from frozen – bread keeps for longer when stored in the freezer but tastes just as good as fresh when toasted. Pop half the loaf straight into the freezer when you get home from the shops if you know you won’t use it all straight away.